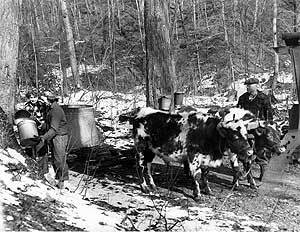 Duke & Don, collect sap from maple trees, 1952. View image. A sure sign that it's spring is the annual Geauga County Maple Festival, and, with the festival coming up at the end of April, what could be a better time to visit Cleveland Memory's new web exhibit, the Maple Sugar Industry in Northeast Ohio? Featuring newspaper articles and photos of various aspects of maple sugar production from the 1920's to the 1970's concentrating on Burton, Chardon, and Geauga County, Maple Sugar Industry in Northeast Ohio is the newest addition to Feeding Cleveland, an exploration of the local food history of Cleveland and Northeast Ohio. Other recent additions include The Oberlin, Ohio Project and The Great Lakes Exposition, which features streaming video of rare and historical footage taken at the Expo back in 1937. 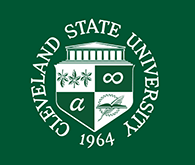 Be sure to take some time out when you can and visit these new web exhibits from the Cleveland Memory Project. Posted 2011-03-21 14:37:15 by Lauren_Felder.